Starting a restaurant required a lot of capital. There are a lot of equipment required in the daily running of the business. When having low capital, there is need to buy cheap equipments for the activity of the restaurant. At this point, buying used equipment is the option you have. Chef’s Deal is one of the best equipment and restaurant supply. You can buy used equipment or even sell some of your own. This is very easy and also profitable for the buyer and the seller. The seller can have the best prices for the equipment while the buyer has cheap offers to choose from. The equipments are checked for any mechanical problems which assures the buyer of quality tools that can be long lasting for the job required. A used grindmaster coffee grinder is one of the equipment you can get from Chef’s Deal. This is a very important equipment in a restaurant as it makes work easier during the preparation of coffee. The grindmaster coffee grinder is able to make you have both quality and tasty coffee for all your customers. 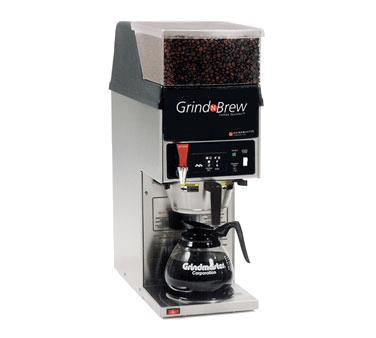 The grinder gives a final blend of well refined coffee powder that readily dissolves in hot water to create a nice cup of tea that will surely catch you more customers. At Chef’s Deal, you can have a used grindmaster coffee grinder at very cheap and affordable prices. They have been checked for any mechanical problem and therefore, all buyers are guaranteed of a product that will last as long as you keep it maintained. Are you worried on how to get the equipment to your restaurant? This not a problem for you. There are a number of grindmaster coffee grinders on sale and they have free shipping offers. This is great for those who are not near the equipments and everyone is able to have what they need. You might also have a grindmaster coffee grinder in your house and you have the need to sell it. This is a great opportunity at hand. You can get good prices for it at shorter time limits. We sell very fast due to the presence of a variety and affordable prices. If you have a quality grindmaster coffee grinder, be sure to sell it in the blink of an eye. Just because you do not have the need for some equipment in your house or restaurant, it does not mean that someone else cannot have it. With this in mind, Chef’s Deal has been able to offer the best services to both buyers and sellers of the used grindmaster coffee grinder. There are many in stock and you can choose from a variety of them. If you have a restaurant a you need a used grindmaster coffee grinder, no need to waste time. You can order one and Chef’s Deal will be at your service. There is a free delivery option which is a good deal for you. Chef’s Deal can guarantee you the best.